This SUV offers seating for as many as seven adults, cargo volume of as much as 96.8 cubic feet, and so much more that makes the drive in from LaGrange or the road trip from Naperville something you might look forward to. And, of course, each Atlas is equipped with the innovative Intelligent Crash Response system, which disconnects the fuel system and unlocks the doors, making it safer for emergency responders to provide aid in an accident. Safety isn’t this SUV’s only claim to fame. When equipped with the powerful 3.6L V6 engine, the SUV delivers as much as 276-hp and 266 lb-ft of peak torque and offers up to 5,000 pounds of towing capability – making it a well-rounded choice for Countryside families on the go. See the 2018 Volkswagen Atlas in action for yourself and learn why more families are opting for the power of German engineering over the competition. 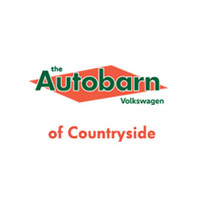 Contact Autobarn VW of Countryside to get started.